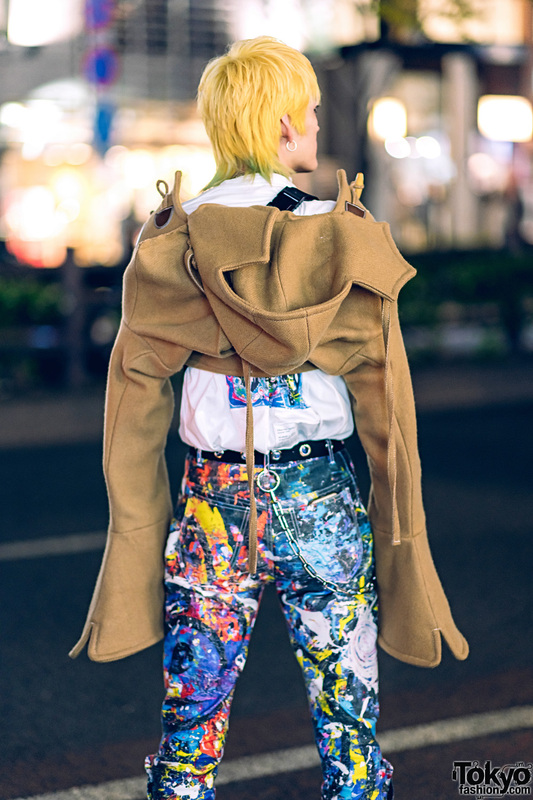 It was easy to spot 21-year-old Shimon in Harajuku with his striking yellow hair and multicolored pants. 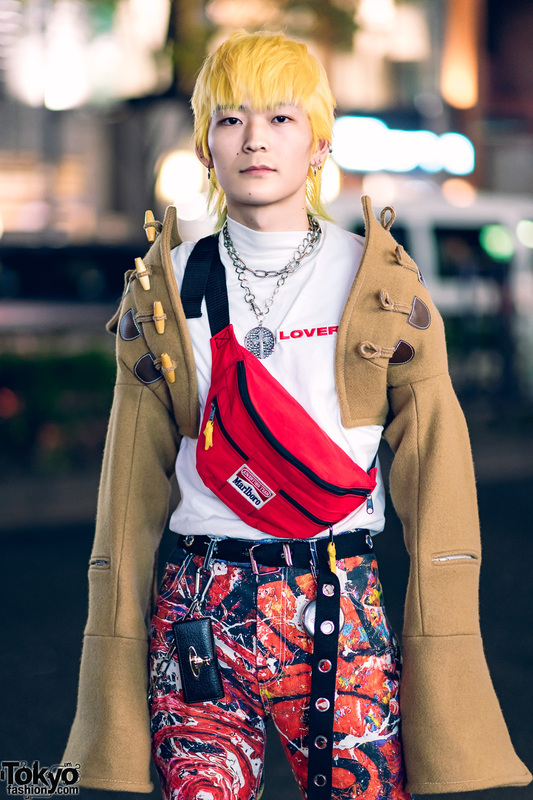 The beauty school student donned a camel hooded jacket with extra long sleeves from Charles Jeffrey. He wore it over a Charles Jeffrey white top with a high neck and the word “Loverboy” in red lettering on the chest. 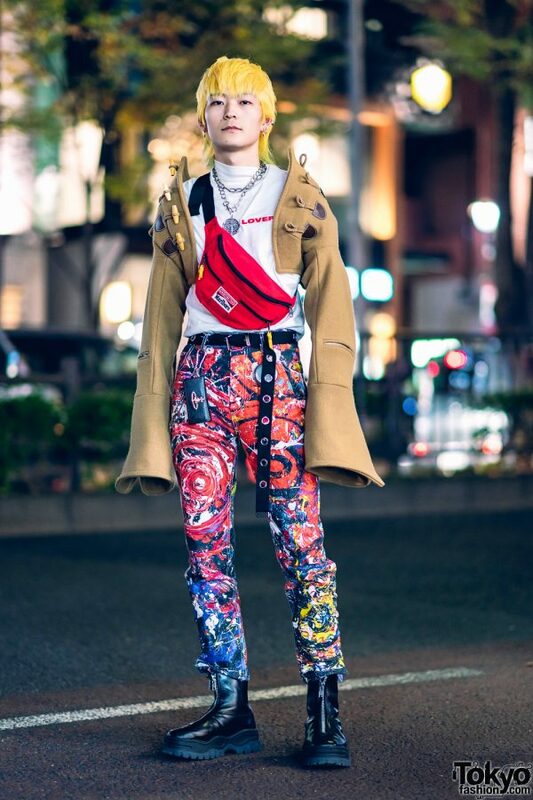 Shimon tucked his shirt into a pair of Charles Jeffrey Loverboy abstract painted pants and cinched them at the waist with a black grommet belt. 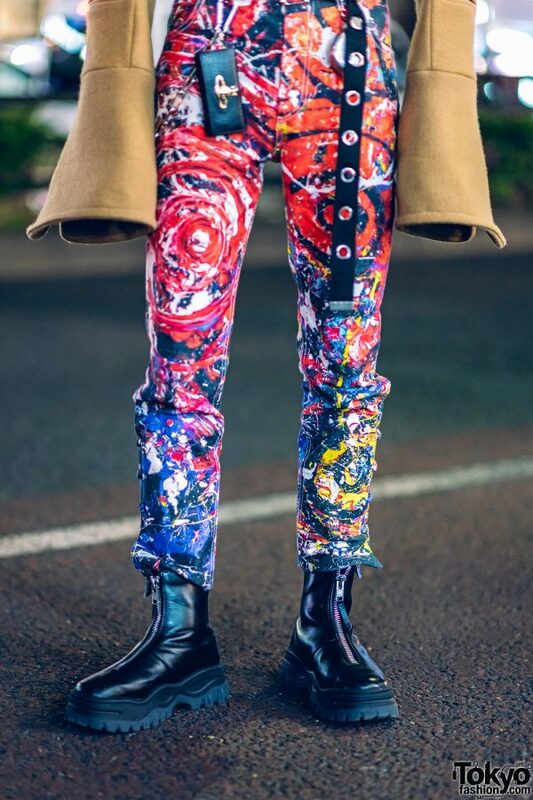 He styled them with a silver chain attached to the belt loops and Eytys black boots that had front zip closures. Strapped across his chest is a vintage bright red Marlboro waistbag. 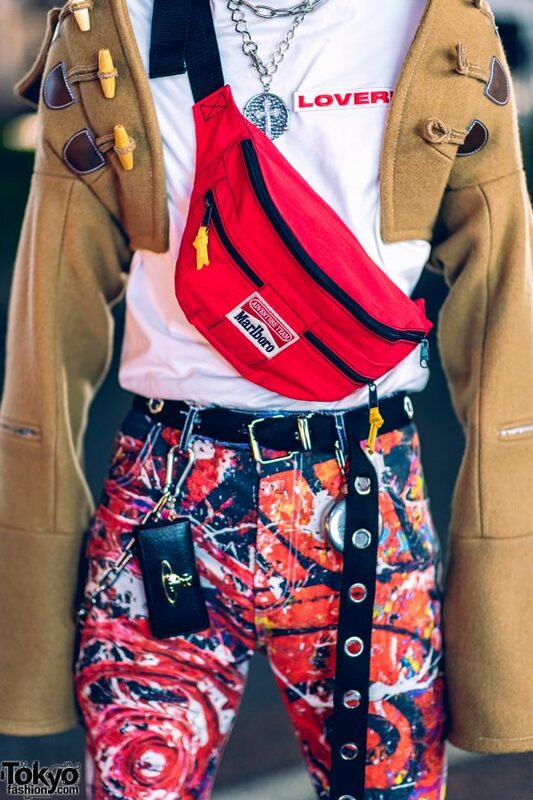 His accessories – most of them from JBCG – include a black leather Vivienne Westwood key holder, a chain necklace, multiple hoop earrings, and a chain necklace with a large circular pendant. 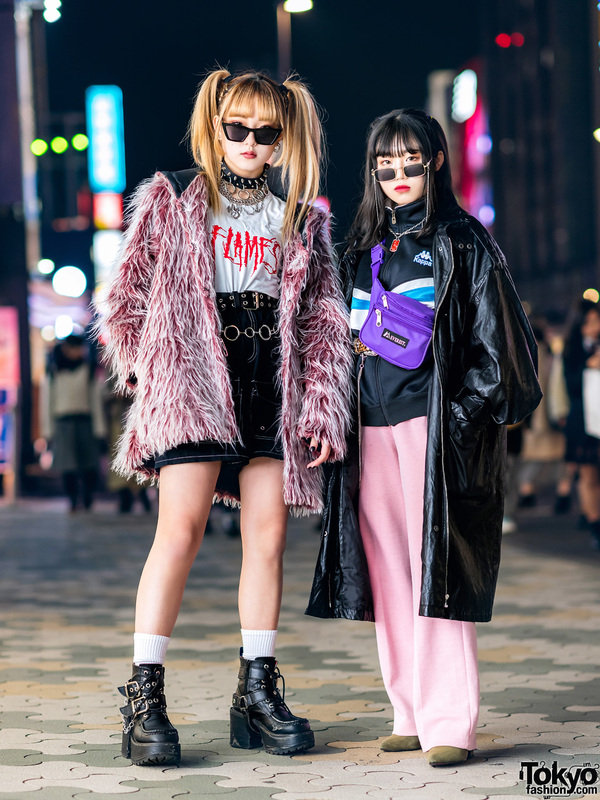 Shimon enjoys shopping at The Four-Eyed and Charles Jeffrey, and he listens to music from Skrillex. Follow Shimon on Instagram to keep up with his social media updates.